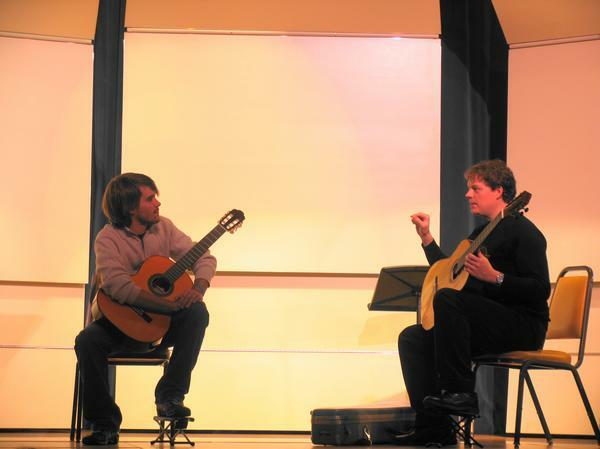 More and more I am finding that there is a misconception as to what it means to play “classical guitar.” Most people don’t realize that you can be a classical guitarist and not play any classical music, ever. The term “classical guitar” refers only to the instrument and it’s playing technique, not the genre of music you play on it. Consequently, you can play any genre of music you want on the classical guitar, that’s what makes it so cool. Metallica, Bob Dylan, Bach, it can all be played on the classical guitar using classical guitar technique. In fact, the origins of classical guitar playing are deeply rooted in the making of solo, fingerstyle, arrangements of contemporary songs. Keep in mind that, in the beginning stages, it helps to use a traditional method book so you get off on the right start. If your hands don’t function properly and you don’t have a good understanding of basic musicianship, you are not going to play any music well. 1. 12, hour-long lessons ($800 paid up front at the start of the semester). 2. 12, half hour lessons ($400 paid up front at the start of the semester). I also maintain private studios in Lawrenceville and Decatur, GA. Contact me if interested in private study. To instill in my students a commitment to personal excellence and a life long love for musical and artistic growth. My role is to teach students how to overcome their technical and musical obstacles. Students may do this by developing metacognition and a locus of internal control in relation to learning music and playing the guitar. This video reviews the principles behind sitting position and anatomical function of the hands. It is intended as a learning aid for beginning guitar students taking MUA 1800/3800, Introduction to Guitar, at Georgia State University.